SpotOn! 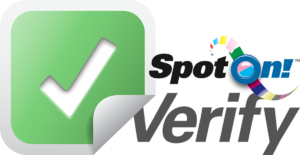 Verify is a powerful tool that helps you clearly define performance and control your print process. 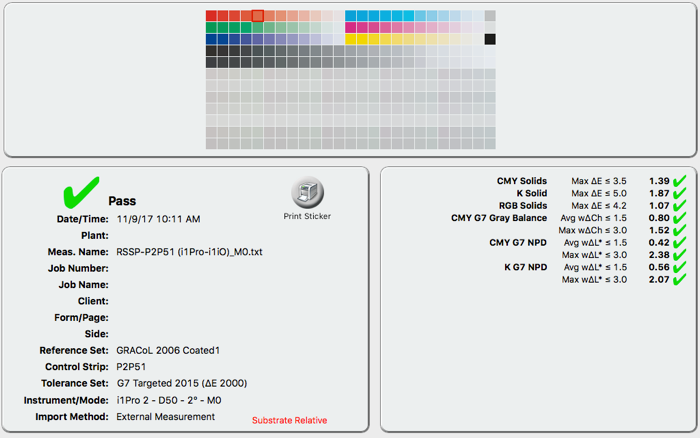 The process is simple, the software is flexible, and the ColorCasters team is here to help you integrate it smoothly. Verify is a flexible software tool that allows you to customize a process control workflow to meet your needs. 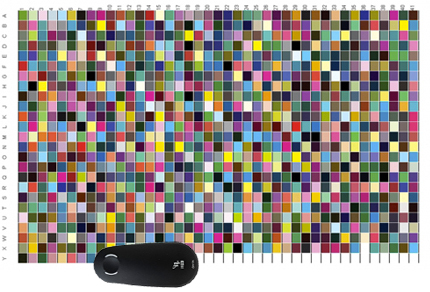 The at ColorCasters are ready to help you make the most of your investment. 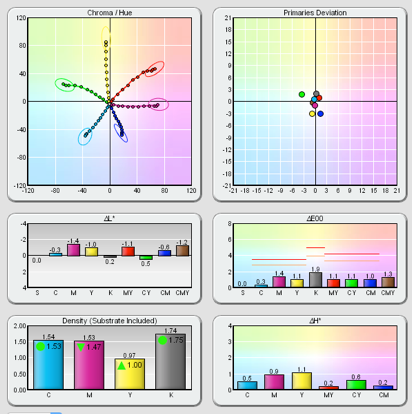 Easy to Use: Simple graphics, basic metrics, and obvious color cues let you know how your devices are performing. 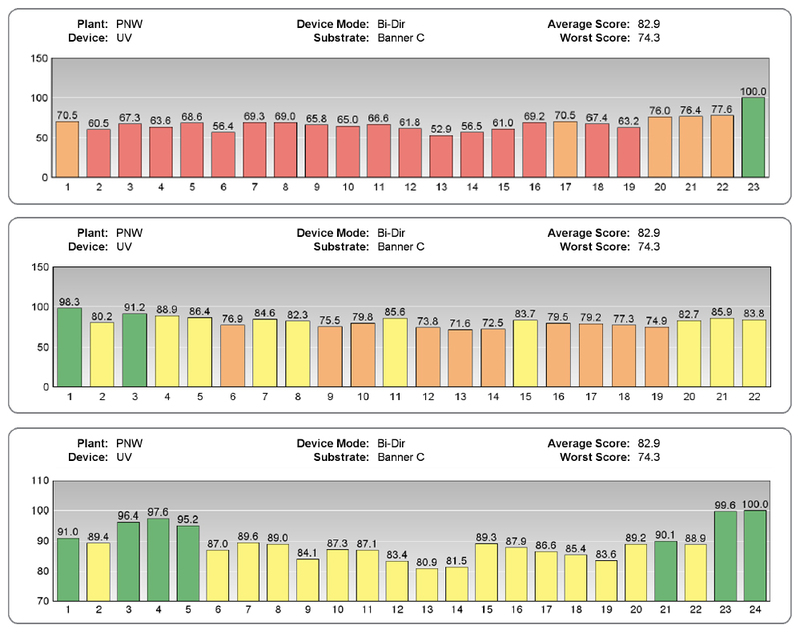 Visual Match Scorecard: Get a single score for evaluating device performance. 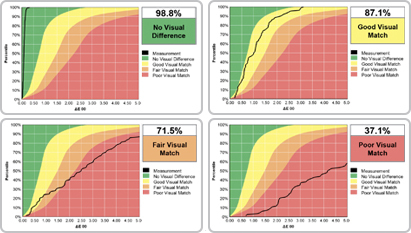 Visual Match Scorecard sees color like we do, not just a pass/fail that can often be misleading. Pass/Fail Verification: When pass/fail is required SpotOn! 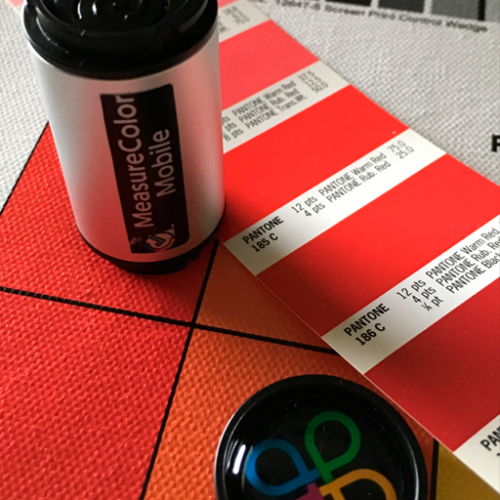 provides a visual warning when a print is approaching the tolerance limits. 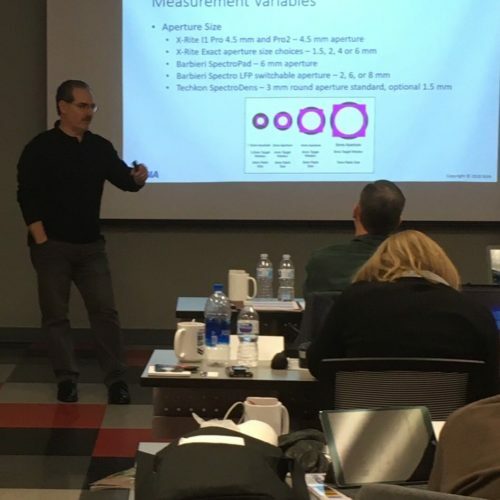 Standard and Custom Tolerances, References, and Control Strips: Use industry standards or customize references, control strips, and tolerances to fit your needs. G7 Metrics: Monitor compliance by using built-in G7 metrics and tolerances to evaluate G7 performance. Measurement and Trend Reports: The measurement reports show more detail about each metric being evaluated in the measurements. The device report shows variation of each device being tracked over a period of time.